WHITECHAPEL HANDBELL REPAIR Once again there is a place for stateside repair and refurbishment of Whitechapel English Handbells. 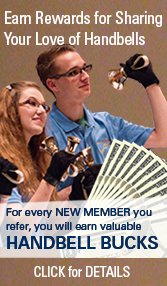 New technicians trained at Aten English Handbell Repair. We pride ourselves in quality work and rapid turnaround for all orders. Call Jared at 231-347-4540 or email at jturma@hotmail.com. Overtones Classified Ad Rate: The cost of $32 includes 55 words. Additional words are $1 each. 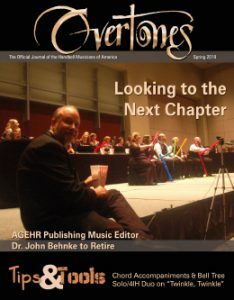 Price includes two-month run on the Handbell Musicians of America website and placement in the concurrent edition of The Guild bimonthly journal, Overtones. For more information visit our Overtones Advertising page.